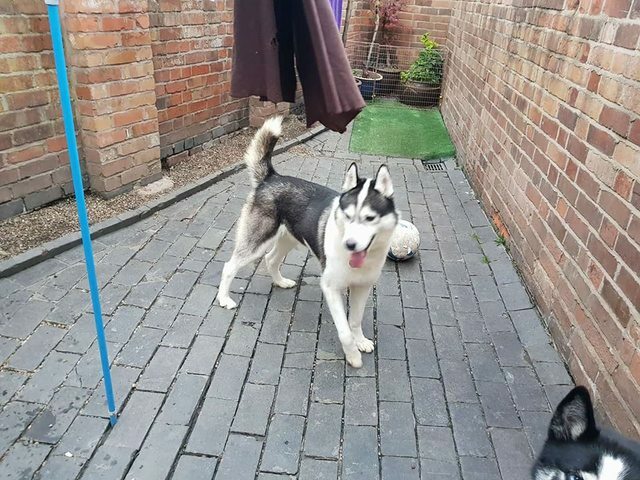 Blaze is a stunning approx 18 month old male Siberian Husky. Blaze came into our care as an emergency recently after he found himself at risk and unwanted. He is such a lovely boy! Blaze is brilliant with other dogs, he is currently living with quite a few other Huskies males/females and has had no issues with any. Blaze cannot live with cats or small furries. He is also good with children and could live with children aged 5 plus years. Blaze is house trained, knows the basics, walks well on the lead (currently walked on a halti) and is fine to be left alone for a few hours – he hasn’t shown any signs of Separation Anxiety since he has been in his foster home. Blaze would love a home with another dog and someone with experience of this breed (or research of this breed). 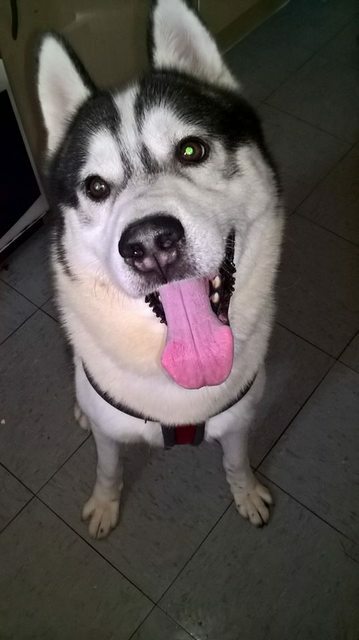 He is a lovely boy and would be fine for a home as a ‘first time husky owner’. 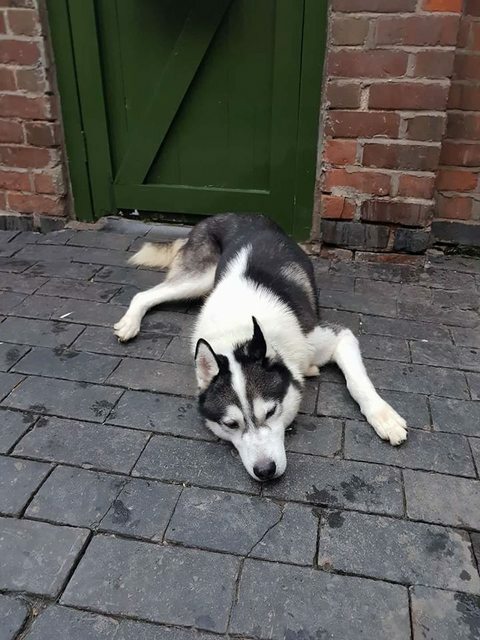 Blaze has been nick named the ‘broken husky’ as he is quite a calm laid and very laid back. Blaze is neutered, vaccinated, microchipped and flee’d and wormed up to date.